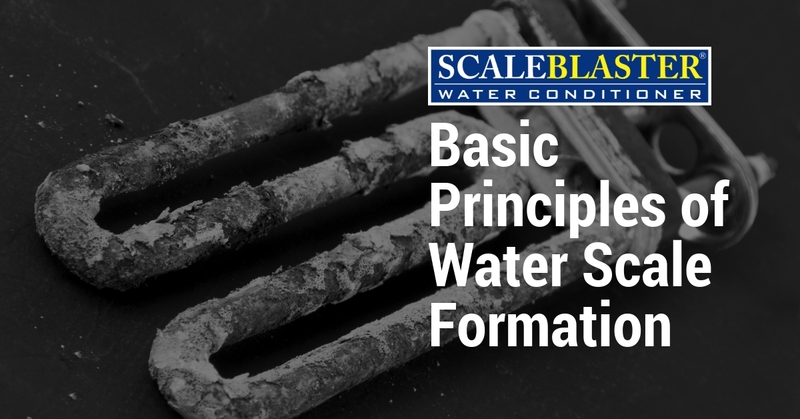 In answering the question of how to soften water at home, we have been covering the basic principles of water scale formation and elimination. 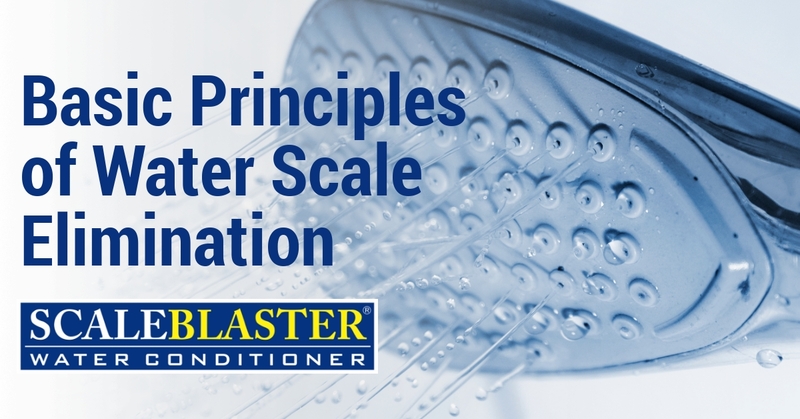 As a follow-on to our previous article discussing water scale formation, we will now cover the theory behind why the ScaleBlaster electronic descaler is an effective hard water scale remover and eliminator. 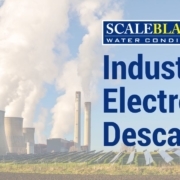 When it comes to pipe scale removal and overall water scale removal, the ScaleBlaster electronic descaler is the most safe, effective and affordable option on the market today. The ScaleBlaster unit itself is comprised of a signal cable wrapped around a pipe. The unit sends out a complex, dynamic current to produce oscillating fields inside the pipe. This causes molecular agitation which ultimately results in water scale removal and prevention. ScaleBlaster’s frequency modulation signal produces an IMA inside the pipe. When water and water scale causing ions are treated by the IMA, suspensions of soft and less-adherent calcium carbonate crystals are formed, thus removing the dissolved calcium and bicarbonate ions from a supersaturated solution. This is known as hard water scale removal. The IMA also breaks hydrogen bonds in an aggregate of liquid water, freeing water molecules from the aggregate and increasing the solubility of water. The unstable supersaturated calcium carbonate solution become stable, thus resulting in the prevention of water scale buildup. 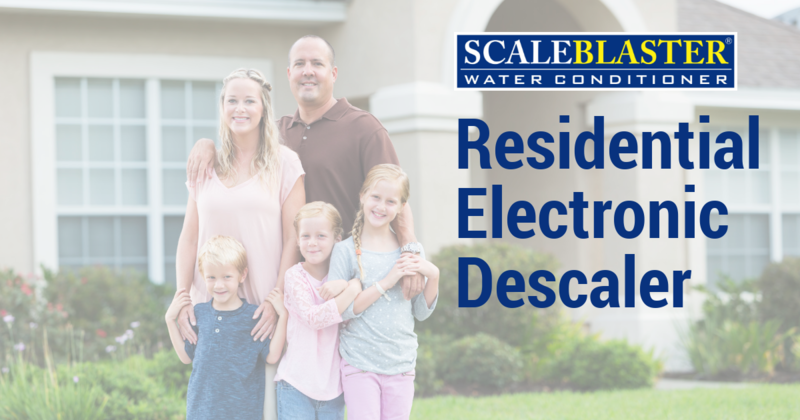 Overall water scale removal, including pipe scale removal, can be easily and effectively accomplished by the ScaleBlaster electronic water descaler. If you are looking for how to soften water at home, look no further. The ScaleBlaster is not only an effective hard water scale remover, but also a powerful when it comes to preventing water scale from forming. 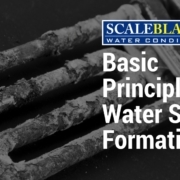 Interested in learning more about the science behind ScaleBlaster’s water scale removal and prevention capabilities? Read our detailed brochure Principles of Scale Formation Elimination. 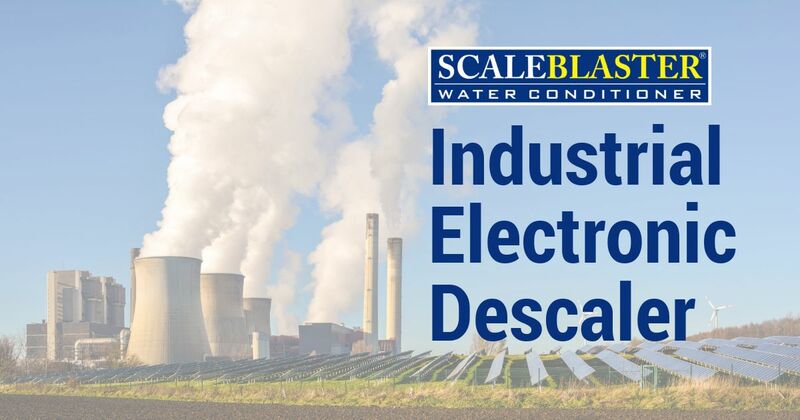 Let’s take a closer look at some of the advantages the ScaleBlaster electronic descaler industrial models have over other hard water treatment options. Not only is an electronic descaler an effective industrial lime scale remover, but it also prevents scale accumulation. ScaleBlaster helps reduce corrosion, control algae and bacteria and improve the efficiency and longevity of capital equipment. An electronic water descaler requires no chemicals or salt to get the job done! The ScaleBlaster electronic descaler saves a tremendous amount of money over time. It reduces overall downtime and maintenance, increases cycles of concentration which saves water, decreases the need for water filters, water purifiers and water filtration systems, and helps yield a significant energy savings. Contact one of our industrial sales specialists to learn more about how this affordable, environmentally friendly industrial lime scale remover can improve the efficiency of your operation and save your company a significant amount of money over the long term! Hard water and limescale cause thousands of dollars in damage to commercial buildings each year. Prior to the ScaleBlaster electronic descaler, the two hard water treatment options were water softeners and chemicals. 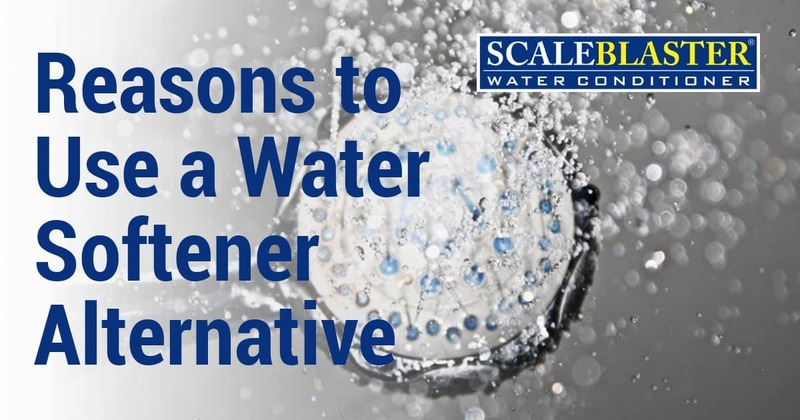 In 1995, ScaleBlaster changed the game for companies seeking an environmentally friendly, healthy and affordable limescale eliminator and hard water scale remover. Since then, ScaleBlaster has helped hundreds of hospitals, residential complexes, water parks, hotels, universities, dry cleaners, salons supermarkets, and Fortune 500 companies throughout 70 countries take control of their limescale and hard water scale removal problems. ScaleBlaster is a one-time investment that requires no maintenance. Water softeners and chemicals require ongoing purchases, time and maintenance to be effective in water scale removal and prevention. ScaleBlaster does not rely on someone remembering to add salt or replace cartridges, and when there is no salt or new cartridge, there is no treatment for the water. The ScaleBlaster electronic descaler mounts easily on a wall with a quick install. Also, it takes up very little space which leaves you with valuable space. 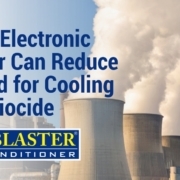 The ScaleBlaster electronic descaler is the most environmentally friendly limescale eliminator and hard water treatment options on the market. It is non-intrusive to the water and does not require salt or chemicals to be an effective hard water scale remover. We have a number of commercial models to fit the needs of any building or structure. Are you seeking hard water treatment options for your company? 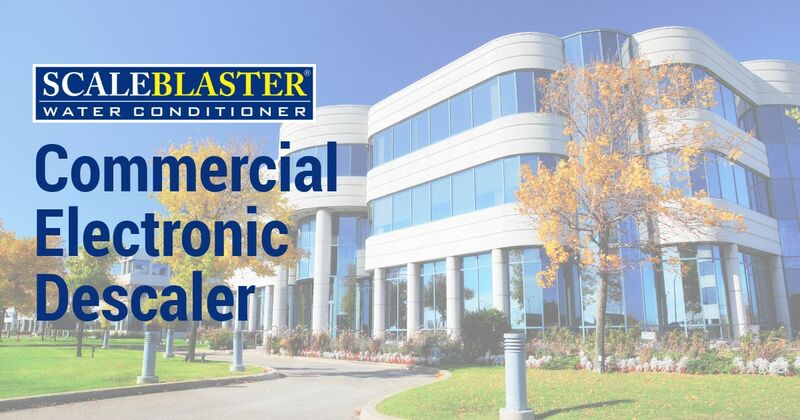 If so, contact one of our commercial specialists to learn how the ScaleBlaster electronic descaler can be the one and only limescale eliminator and hard water scale remover you will ever need. We are often asked about the differences between our residential, commercial and industrial ScaleBlaster electronic descaler models. The upcoming series of articles will give a brief overview of each. All three categories of ScaleBlaster are considered the gold standard when it comes to hard water treatment options. Each is not only an excellent hard water scale remover, but they also prevent new scale from forming. Hard water scale removal is essential to protect the integrity of your home and health of your family. Every home needs a limescale eliminator and our residential ScaleBlaster models are designed to do just that! 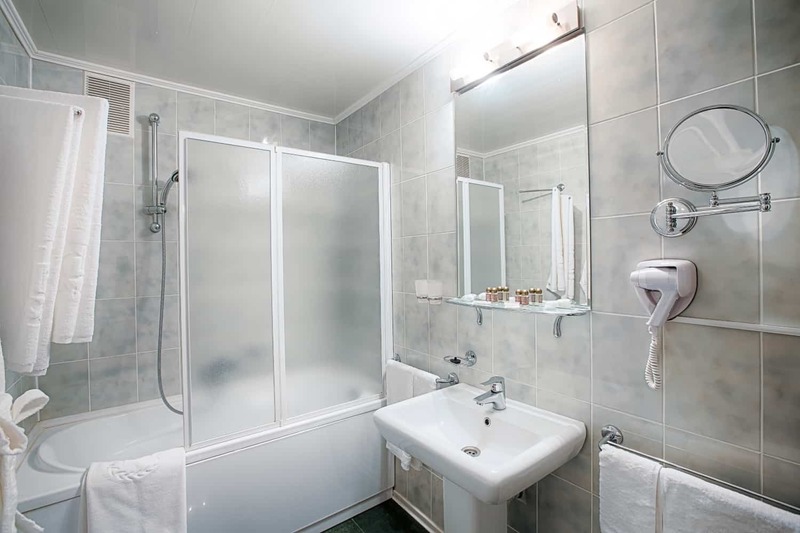 Limescale wreaks havoc on your home, especially when it builds up on showerheads and faucets. Limescale is often the cause of poor water pressure, lack of hot water, higher electric bills and damage to pipes and appliances that utilize water. Residential ScaleBlaster models are easy to install (no plumber needed) and require no ongoing maintenance. Let’s take a look at the homeowner models. The SB-75 is an electronic water conditioner prevents hard water problems when the total hardness levels are 19 grains per gallon / 325 parts per million or less. It is effective for city water in residential applications up to 4,000 square feet. The SB-Elite electronic descaler is rated for hardness levels up to 35 grains per gallon and/or 600 parts per million. Effective with well and city water in houses up to 5,000 square feet. For larger homes, contact ScaleBlaster for more help. Searching for hard water treatment options? Look no further. 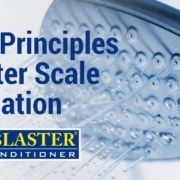 ScaleBlaster is exactly what you need for residential water scale removal and elimination. Both the SB-75 and SB-Elite can be purchased at Home Depot (in store and online) and Lowe’s (online). Removing lime scale from your appliances is time consuming and costly. The best way to address lime scale is to prevent it. 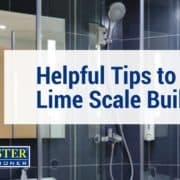 The ScaleBlaster electronic water descaler is not only an effective lime scale remover, but it also stops lime scale buildup. Lime scale is the direct result of hard water and it’s synonymous for leaving a white substance on fixtures and appliances such as coffee pots and dishwashers that utilize water. The ScaleBlaster electronic descaler is designed to get rid of that pesky lime scale forever. Let’s look at some other common ways people deal with lime scale. Water Filters – Some people use water filters as a lime scale prevention strategy. While water filters are excellent, they are not efficient in lime scale removal. Lemon juice in vinegar – while this can be an effective lime scale remover, it cannot prevent new scale from forming. Chemical lime scale remover – A chemical lime scale remover may be effective in removing lime scale buildup, but it cannot prevent it. And, how safe are those chemicals, anyway?? While there are products that address lime scale, the most comprehensive, cost-effective and safe method is incorporating an electronic water descaler. Lime scale removal and prevention will help extend the life of your pipes and appliances and keep them working properly, improve the effectiveness of soaps and detergents and make your laundry brighter, softer and whiter. As an added bonus, ScaleBlaster may even help save a few dollars on your monthly electric bill! Calcium breaks down into calcium carbonate and causes limescale to build up on your pipes, appliances and water cooling towers. Limescale buildup can cause clogs, corrosion and a shortened life for water cooling towers, machinery and appliances. 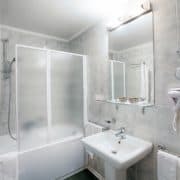 A chemical limescale remover is a common solution, however, not only is it harmful to the environment, but it can cause damage over the long term. If you want a safe and affordable solution for limescale removal and prevention, an electronic water descaler is your answer. 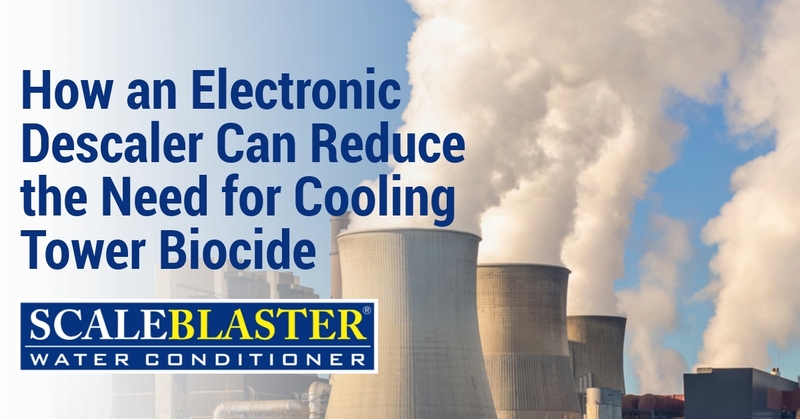 An electronic descaler will help prevent limescale buildup from negatively impacting your pipelines, water cooling towers, and other machinery and/or appliances. Incorporating an electronic water descaler is important because limescale buildup can cause clogs that are almost impossible to address. When you have a buildup of limescale in your HVAC, water cooling tower or other machinery, it can have a negative effect on the overall lifespan and reduce efficiency. Limescale buildup can also cause corrosion, which weakens pipes and machinery, making them more susceptible to leaks and other malfunctions. 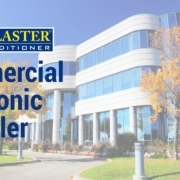 The ScaleBlaster is a proven electronic descaler that is available in commercial and industrial models. Not only is ScaleBlaster effective in limescale removal, but it prevents limescale from forming all together. Best of all, the ScaleBlaster electronic water descaler requires virtually no maintenance, is chemical free and environmentally friendly. Chemical options for limescale removal and control include the use toxic chemicals to manage the amount of limescale within the pipes and water cooling towers. 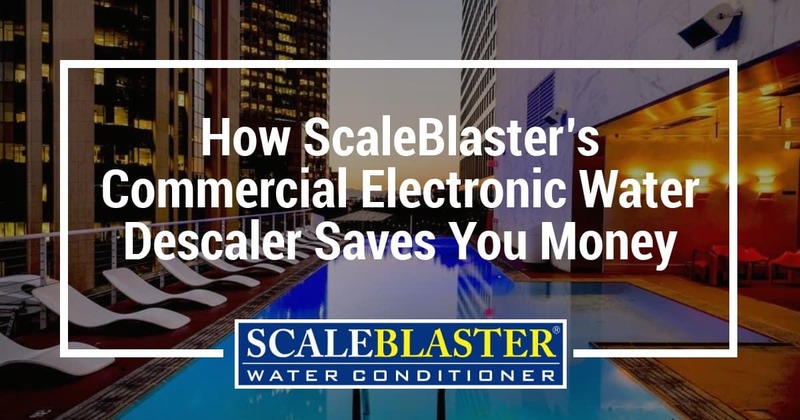 The ScaleBlaster electronic descaler uses no chemicals and instead works by sending electromagnetic signals through your water supply before it enters your building. These signals alter the chemical properties of calcium, preventing the calcium molecules from sticking to the sides of pipes, water cooling towers, machinery and appliances. 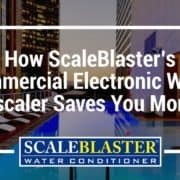 Contact a ScaleBlaster commercial dealer to learn more about how an electronic water descaler can work for you. Hard water scale wreaks havoc on a home, affecting everything from the pipes, appliances and even the laundry. Addressing hard water scale sooner than later is always your best bet. One of the most common ways for people to deal with hard water is to incorporate a water softener. However, water softeners come with a plethora of different problems. Another affordable, reliable, safe, long-term solution is an electronic water descaler. Let’s take a look at why an electronic descaler is an effective water softener alternative. Many homeowners choose an electronic descaler as a water softener alternative because they are so much safer for the family. Traditional water softeners use chemicals and salt. Salt is not ideal for pets or people on salt restrictive diets. 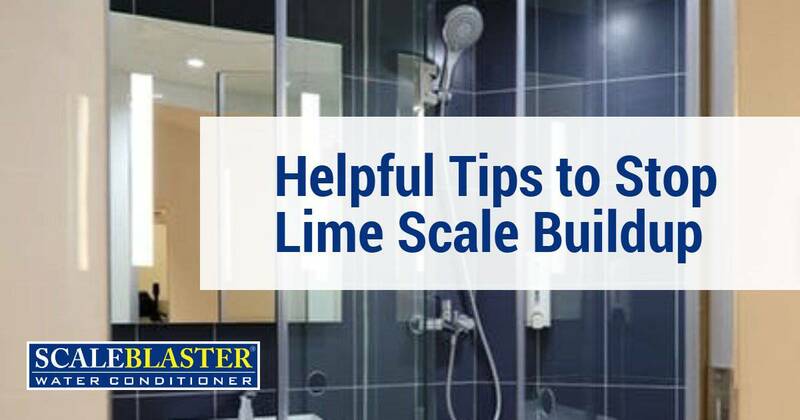 The ScaleBlaster electronic water descaler is not only an effective lime scale remover when it comes to existing scale, but it does an excellent job at preventing lime scale all together. Most importantly, it’s 100% chemical free! The ScaleBlaster electronic water descaler is extremely affordable and cost effective. Once you purchase the unit, you connect it to the incoming water line and you are done. A water softener requires ongoing maintenance. And, the cost of salt alone significantly adds up over time. A water softener is also not as effective in lime scale removal as an electronic descaler. 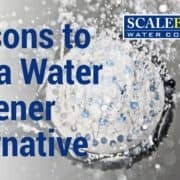 If you are tired of hard water scale and are ready to get serious about lime scale removal and prevention, then ScaleBlaster is the answer for you. 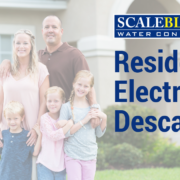 The ScaleBlaster electronic water descaler residential models are readily available at Home Depot (online and in stores) and Lowe’s (online).